There are probably a lot of misunderstandings about Test Driven Development (TDD) and a general unawareness about what it is so I am hoping you will gain a better understanding after reading this article. I have a nice image on the left which will help to provide better information for TDD. The general thought process is by creating an initial test case which is designed to fail, the developer will design better code which will make the test pass. 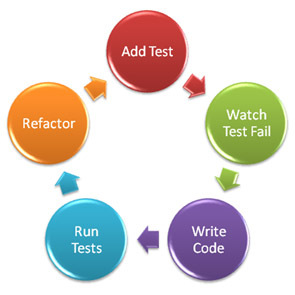 The TDD test created will be a simple unit test that will affect a very small piece of code. Once the unit test has been created it needs to execute and fail. The developer will then write code to get the test to pass. The developer will refactor code to make it simpler and more efficient. The developer will repeat the process and add more tests over a period of time. I hope this article will help and provide you with better information on TDD. If you would like more information on Agile, DevOps or Software Testing, please visit my Software Testing Blog. This is especially needed in more traditional industries where there are smaller and smaller UAT teams. There is increasing pressure on the UAT teams to test more and more with fewer and fewer resources. UAT resources usually have full-time demanding business jobs. UAT is typically given very little attention and focus. If there is a priority, UAT usually loses. Quality Engineering has access to software testing tools that can be extensively leveraged to accelerate the testing process. Quality Engineering should work closely with UAT to understand how the business works and create scenarios based upon day in the life scenarios. Those scenarios can then be automated and will greatly improve the quality of the applications before they hit UAT. While more and more demands are placed on Quality Engineering organizations, they usually are dedicated resources who can focus all their efforts on software quality. I agree that it is necessary to “Shift Left” but I believe you should actually start by “Shifting Right” in order to cover the backside of the SDLC. Agile will place greater demands and significantly compress the historically long UAT cycles, the time that used to be available will no longer be available. “Shift Right” will require interaction with UAT teams. This is often difficult for QE to interact and understand how the business really works. Let’s face it, we are geeks. Once QE has engaged and understood the real world challenges that the business faces, they will be able to identify potential issues before testing gets to UAT. While this is not an exhaustive list, it will help support the thought that “Shift Right” first is the right way to go. 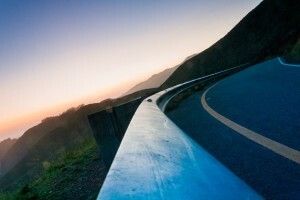 Quality Engineering is a repeatable process that leverages tools to accelerate time to market. It takes Quality Assurance to another level and produces predictable results. 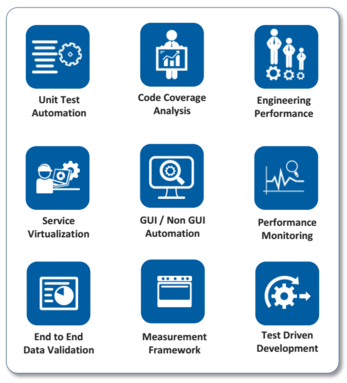 Quality Engineering is expanded across development, testing, and release management teams. Organizations that are able to create a collaborative Quality Engineering practice will be the most successful.